Dysport is a prescription injection that helps smooth the appearance of moderate to severe frown lines between the eyebrows without changing the look or movement of the rest of your face. Dysport is injected in 5 points between and above the eyebrows and temporarily prevents the muscles from contracting which can cause frown lines. Dysport is usually recommended for patients under the age of 65. Juvederm is a filler made from hyaluronic acid. Hyaluronic acid is naturally found in the body, most prominently in the eyes and joints. Juvederm is injected into the skin or sometimes just under it in order to restore diminished volume and achieve youthful skin. It can smooth wrinkles, folds, and laugh lines. It can also lift and contour cheeks and plump lips. It is primarily injected in the cheeks, lips, or in lines and wrinkles. Botox Cosmetic is used to improve dynamic wrinkles that typically appear around our eyes, mouth and forehead due to age and facial movements such as laughing, smiling, or frowning. It works by blocking nerve transmission to a muscle and relaxing the muscle that contracts to cause a wrinkle. On average, all of these procedures typically last between 3-4 months. Once the injection takes place, you may experience a little swelling or discomfort at the injection site. This is normal. Most individuals are able to return to work or other daily activities after the treatment. It’s always best to consult a Board Certified Plastic Surgeon when trying to decide which procedure is best for you. Your doctor will sit down with you and discuss your expectations and help you achieve your desired results. 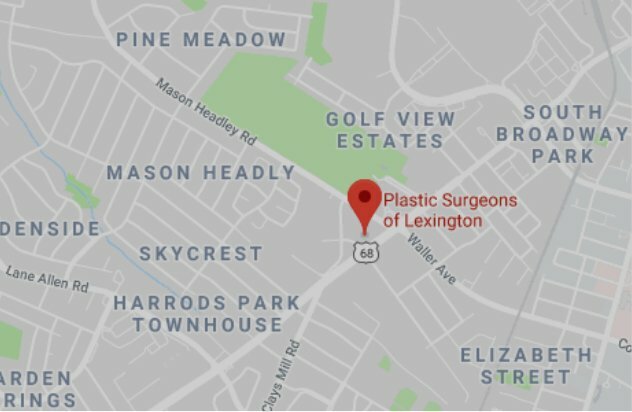 Plastic Surgeons of Lexington is the oldest Plastic Surgery group in Lexington, KY. Our practice is devoted to the surgical management of patients with aesthetic and reconstructive surgery needs. We specialize in Cosmetic and Reconstructive Surgery, Botox, DOT Laser Therapy, NeoGraft, Skin Injections, Breast Augmentation, and Liposuction. We now offer a variety of Aesthetic services including Chemical Peels, Dermaplaning, and Skincare Evaluations. Please call our office today at (859) 276-3883 to schedule a consultation. We look forward to hearing from you!